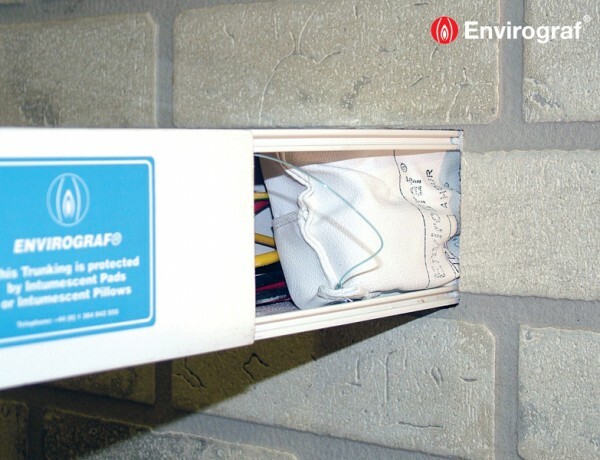 A reinforced glass cloth pillow filled with fireproof sponge and intumescent material which expands to 3 times its original size in a fire, fire stopping gaps inside plastic or metal trunking in walls, floors or ceilings. Pillows will expand at low pressure, locking together to seal off fire without negatively impacting the integrity of the trunking. 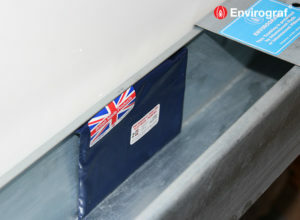 attached inside the trunking to ensure pillows will be refitted after removal for maintenance or access. Tested to BS476 Part 22 (1987), achieving up to 4 hours integrity. Tested at VNE to European Standard EN1363-1 (2000). Test terminated at 150 minutes with no product failure recorded.